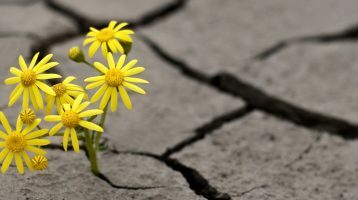 When others treat us as if we have a problem, that we are sick, broken, dysfunctional or ‘abnormal’, this causes us to shut down, withdraw and disconnect from others and with parts of ourselves. If we are received and held in a more positive, supportive, accepting and compassionate way, this can help us move through difficult experiences and enable us to heal ourselves. 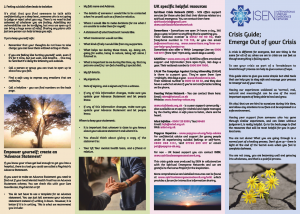 The ISEN REPS have created a guide which aims to give some simple but vital tools that can help you to stay safe and manage your process; to ‘emerge’ out of your crisis. The main thing to know if you or someone you know are going through crisis is; You are not alone! What you are going through is a normal part of a healing process. You are not crazy, you are becoming well and growing into wholeness, and that is a painful process. The guide was produced voluntarily by dedicated ISEN members, and we are grateful to the Icarus Project for their inspiration. It is very important for us make the Guide available for as many people as possible therefore we are going to work on the translations during the next couple of months, including local, country-specific content. The Guide will also be available in a printed version to make it accessible for people who do not use electronic communication. More comprehensive and detailed resources can be found at www.spiritualemergencenetwork.org/wiki which provides a forum for interactive information and resource sharing. Please feel free to download and distribute the guide as you wish; we hope that it offers many people support.